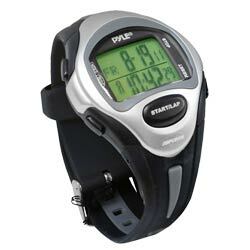 Check out this multi-function fitness watch from Pyle Sports. It's equipped with a 150-lap chronograph, target-time setting, and time alert. Make sure you're running at the right speed with the target time setting for up to 50 laps. Store up to 150 laps in the chronograph so you can time your long runs, and use the four countdown timers to stay on top of your workouts. Of course, you can keep the time and set alarms with the digital clock. Color: black. How is this model different from PSWMR40?